PBS America is to start screening a show that has become one of the UK's most widely distributed programmes in the last 18 months. Walks Around Britain, which has tapped into the growing popularity of going for a walk in the great outdoors, has announced it is being shown over 20 channels in the UK, plus further networks abroad. It is believed the programme is now the most watched British-made syndicated TV series in the UK today. From Tuesday 30th May, PBS America (Sky 534, Freesat 156, Virgin 276) becomes the 21st broadcaster, and will be broadcasting the recently completed season three, stripping it across the week at 6:35pm with a double bill every day. The programme first launched on the Community Channel in January 2016. Subsequently it was taken up by numerous specialist and local TV channels including Horse & Country TV, Holiday & Cruise TV and the Made TV Network broadcasting to cities including Birmingham, Leeds and Newcastle. Walks Around Britain, produced by Doncaster-based independent Nova Productions, uses a syndication model, fairly unique in British television. This is where several channels broadcast a series which they couldn’t fund on their own, and the budgets for the series are then supplemented by product placement – which is all undertaken within the Ofcom regulations. For series four, German outdoor clothing company Maier Sports becomes the exclusive clothing product placement partner for the programme. 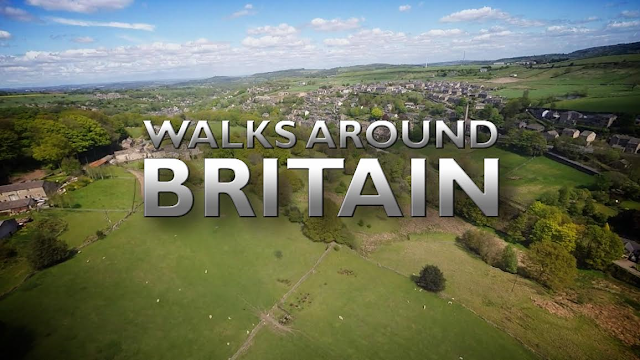 “We’re thrilled to welcome PBS America to the family of broadcasters showing Walks Around Britain. It proves the syndication model we’ve developed works, and we’re getting more and more companies interested in the product placement opportunities which the large total audience created by those 21 broadcasters can bring. We’re excited to have Maier Sports on board as our clothing product placement brand for season four – their clothing range is perfect for our viewers and we’re looking forward to showing off their products throughout season four."